I have started to hate eating at restaurants. When I was younger I ate at restaurants, once or twice a week. Now I eat out maybe once a month. A large part of it has to do with my expectations on food. In my 20's I was happy with any food that I didn't have to cook myself. Now that I am in my mid-thirties my expectations are much higher. If I am going to spend 10 dollars on a burger, it better surpass any burger I can make at home. There lies the problem. It rarely is as good as I can make at home. Now my expectations might be higher than most people. I cook daily and can adequately cook most recipes and dishes. There are also some things that I like more at restaurants that cooked at home, french fries is the best example. They always taste better at my favorite fast food restaurant. Baked goods can be split down the middle, there are some baked goods that taste perfect at a bakery such as donuts, but for the most part I prefer to make them at home. Muffins are an example of a baked good that I think tastes better homemade. Last week I tried a new recipe for Feta Sage Muffins. This recipe has 13 ingredients. It takes 30 minutes of total time, 10 minutes of which is active and makes 12 muffins. I made a significant amount of changes to the original recipe. First since I eat gluten free I substituted gluten free all-purpose flour for the whole wheat pastry flour. Since I cook gluten free there needs to be eggs or something equivalent to rise the muffins or they will end up very flat. Therefore I added one large egg to the recipe. Finally, I was out of muffin liners so I used ramekins instead. I ended up with a total of 7 ramekins. I served these muffins as a side to a bean recipe. They were perfect and created a nice savory side dish. The combination of the feta and sage was perfect. These would make a nice compliment to a pork or chicken recipe or a bean soup. 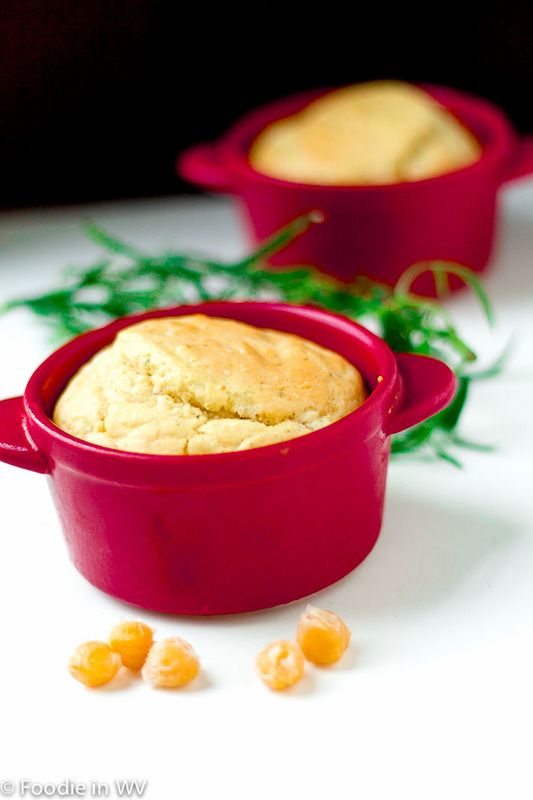 Converting the recipe to being gluten free worked perfectly and serving them in ramekins made them the perfect size to serve as mini breads to go with the beans. For the recipe go to Feta and Sage Muffins. I totally agree with you about restaurant food vs. homemade. We only eat out about once a month ourselves. It's too expensive and it can be so unhealthy. I love to bake but I try to limit that too because of the health factor. But these look really good and not unhealthy at all. I would really enjoy them. It really is expensive, I agree :) I bake a lot, but I don't keep any other snacks in the house (literally we only have baking and cooking ingredients). So we stay nice and thin! It has taken me a long time to learn to cook I promise :) I have made many mistakes over the years! It really is expensive! I hate when my meals aren't great and I paid ten dollars a plate :) Thanks for such sweet comments! I agree, but I don't always have time to cook, so we eat out. Probably more often than we should. Muffins are best nice and warm out of the oven. Yum! You're right about doughnuts and fries. Those are hard to do as well at home. They really are hard to make from scratch, homemade fries are just never the same! I totally agree...I wish I could cook like you.. Thanks :) I am a big fan of feta also, it adds great flavor to recipes! We're making donuts this afternoon. The kids like them, but you're right they're rarely as good at home as they are from the bakery. That being said, homemade dinners almost always trump going out for quality and taste. Feta and Sage in muffins sounds really good to me. I agree, there are few restaurants that are as good as a great homemade meal! You are calling my name with that feta! Most people just can't cook as good at home. Hence why we go out a lot. Especially here in NYC - we all eat out! Still, I try to cook healthy when I do prepare my own meals. These sound delicious - I love feta! And I wish I could say I can cook most food better than we'd get in a restaurant, haha! Dear Ann, I couldn't say it better myself. I drive my kids crazy but I always say, "do you know how much this would cost out?" And I hate to sound like that sometimes, but like you I feel like whenever I eat out, I could make the same thing at home and better...plus there are always leftovers for the following night. I do the same thing with my kids, glad to know I'm not alone :) Homemade muffins and biscuits are delicious I agree! Ann, I really do hope you keep posting quick glutenfree recipes as I am so bored with my diet and so happy that it is salad season! I'm glad that the strawberry muffins turned out so well :) I will always have gluten free muffins, genetics make it so I can't eat gluten even if I wanted to.